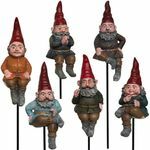 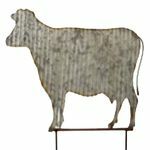 Garden Stakes are great for decorating your garden or balcony, and the easiest and quickest way to bring instant personality into your home. 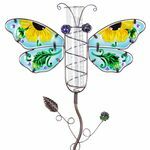 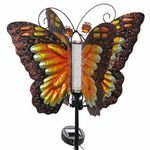 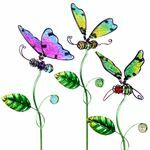 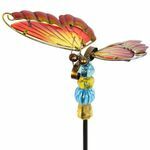 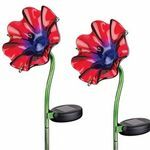 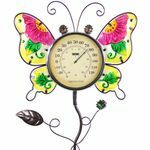 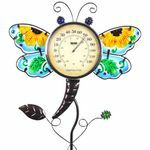 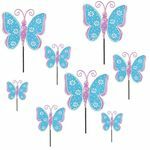 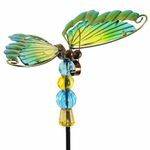 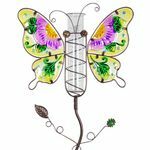 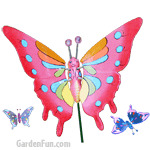 Bring your flower bushes and indoor plants to life with a colorful butterfly garden stake accent, or have a dragonfly stake surprise in an indoor plant. 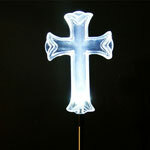 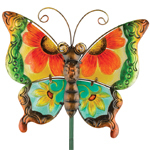 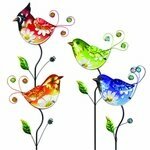 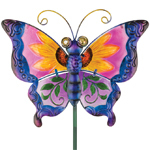 Our decorative garden stakes come in a unique variety for colors, shapes, and designs. 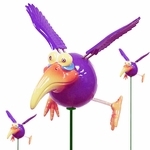 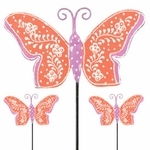 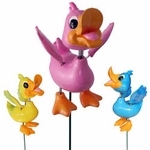 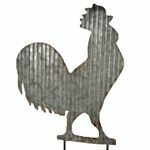 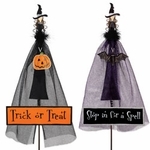 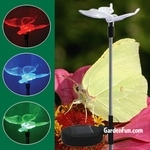 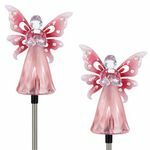 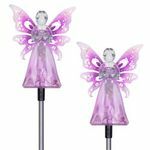 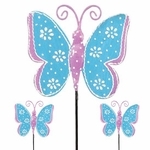 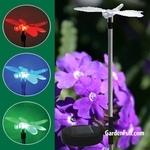 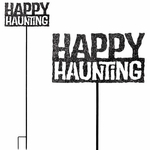 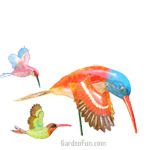 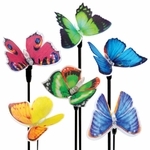 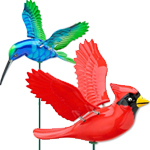 Our popular WindyWings garden stakes have a patented wings design that bring motion and fun. 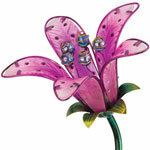 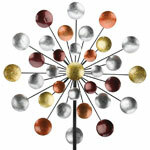 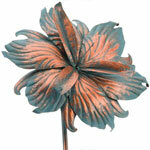 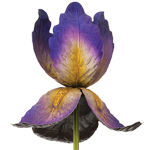 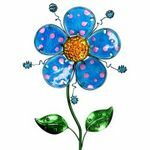 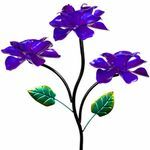 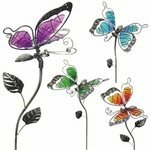 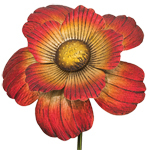 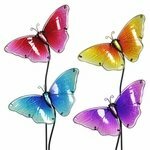 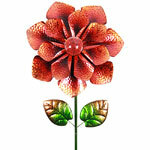 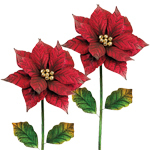 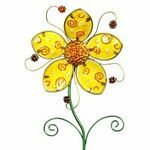 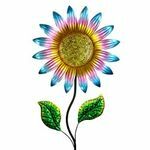 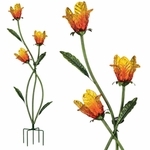 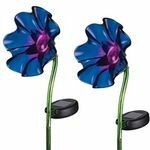 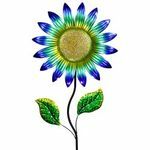 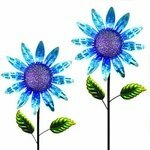 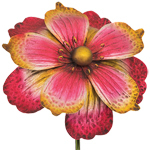 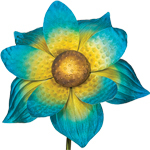 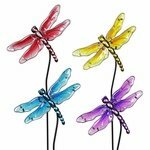 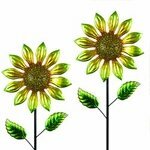 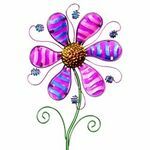 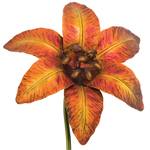 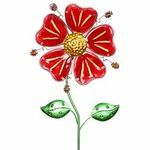 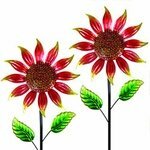 Our metal flower stakes are beautiful and remain bright and colorful all year long, no water required! 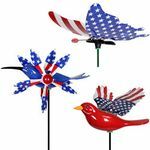 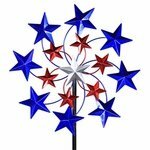 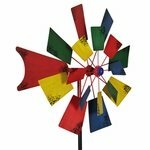 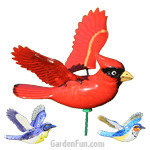 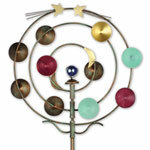 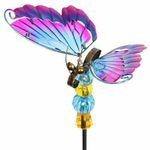 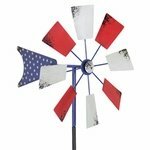 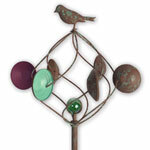 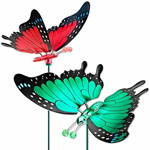 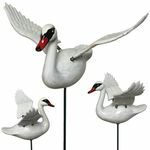 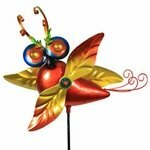 Our famous wind spinner garden stakes will bring motion and mesmerizing delight into any backyard paradise! 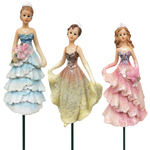 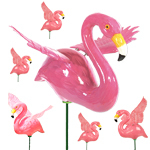 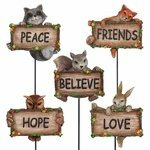 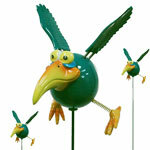 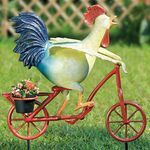 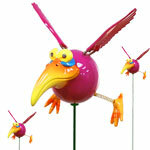 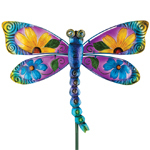 Stick-up for the fun in your life by adding any of our popular whimsical garden stakes to your garden landscape! 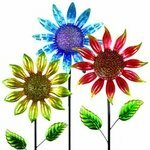 Glass garden stakes are always fun for capturing the sunshine, and our premium 5-tone pot stakes are truly impressive too. 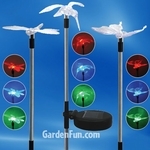 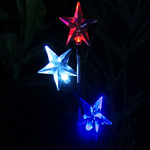 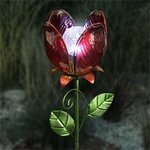 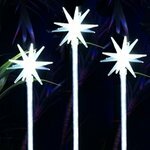 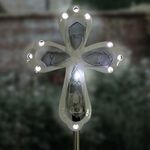 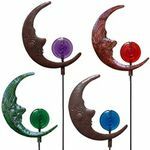 We also have dozen of solar garden stakes that charge during the day and light up at night to create an incredible evening display that you can enjoy after dark. 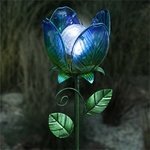 The solar flower stakes are really impressive, especially the tallest lilies and glass tulips. 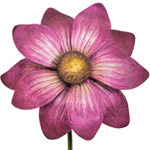 Take a few garden stakes and place them inside a vase with flowers for an extra special bouquet! 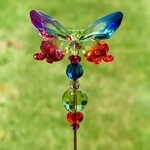 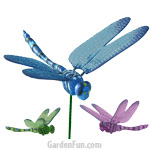 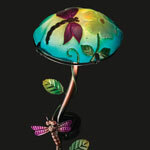 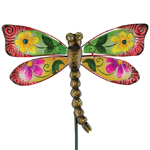 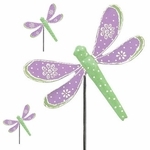 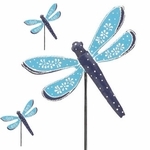 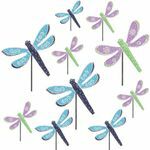 We also have collection of smaller plant stakes like the metal butterfly pot stakes and dragonfly picks. 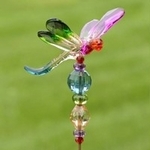 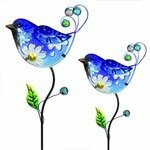 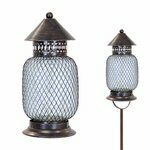 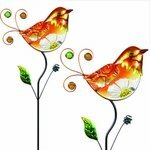 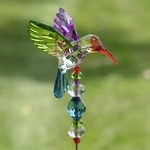 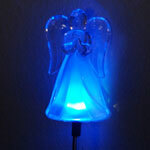 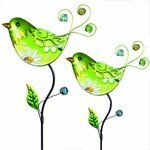 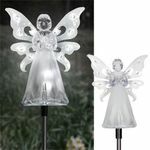 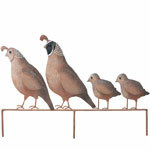 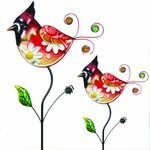 They are simple and small and can be placed anywhere for some additional garden charm. 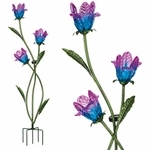 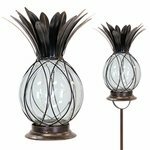 If you like a bit more flair, you might enjoy the Mini Solar Garden stakes like the Peony stakes, or the Bergamot Stakes. 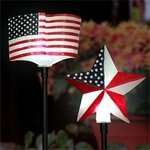 Those stakes look great and will light up at night too! 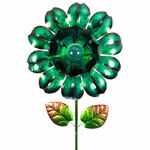 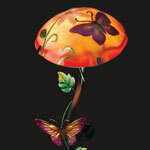 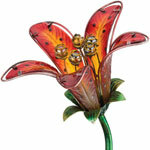 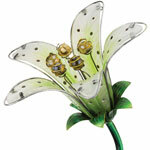 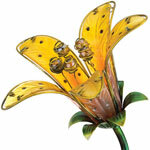 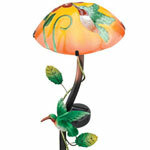 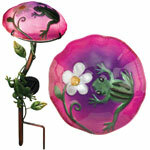 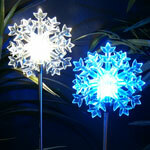 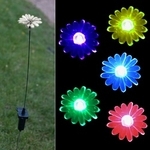 We even have solar Rotating Flower to spin some sunshine into your garden! 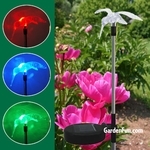 Garden Stakes are really easy to use. 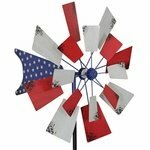 Most stakes have little to no assembly requirements, and you literally just stick them into the ground and enjoy. 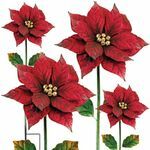 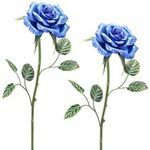 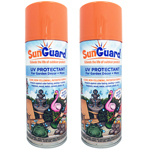 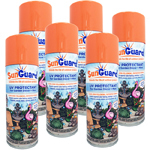 You can stick them in a bush, around a tree, inside of a garden plant, or even inside of your roses or around your vegetable garden. 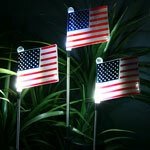 They are easy to remove when desired, or relocated for a change in look. 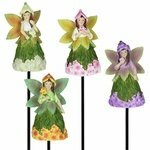 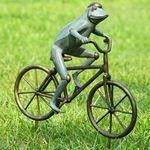 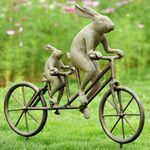 If you want to add some fun to your garden in the fastest way, simply spread a few garden stakes around and you�ll enjoy the added color and personality right away. 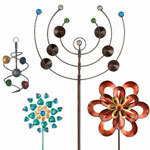 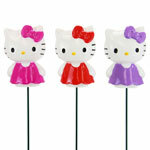 Let your personality shine through and have some garden fun with some new garden stakes today!